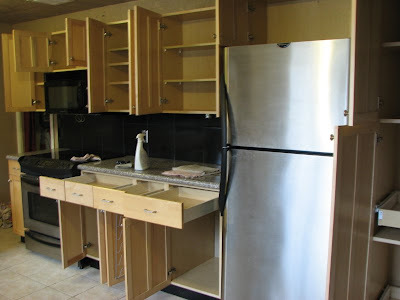 Remove every single item from every single kitchen cabinet (and tops of cabinets). 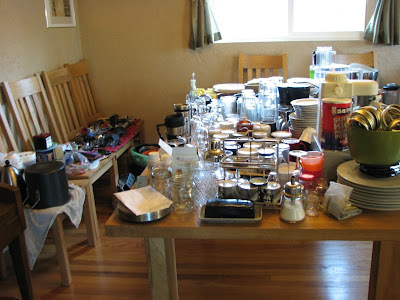 I'm impressed by what good organizers we are that all of this ever fits into our kitchen. We didn't completely remove everything from the pantry because most of it is just jars of canning, which means that it was all cleaned this August/September. We also didn't remove cleaning supplies from under the sink since that was done and cleaned under when we had a plumbing issue in November. Q checked all the hinges and tightened where necessary. We cleaned every shelf, cabinet top, and all of the faces. Oven door, microwave, and all surfaces got thorough cleanings. I sometimes forget between biannual-ish cleanings that one is supposed to be able to clearly see into an oven through the window. 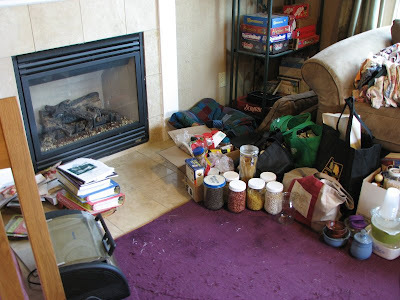 We got rid of quite of few things we didn't need - a nice start to the tax-deductible donation pile for the new year. It was satisfying to notice that the last couple years of "simplifying" have paid off though. 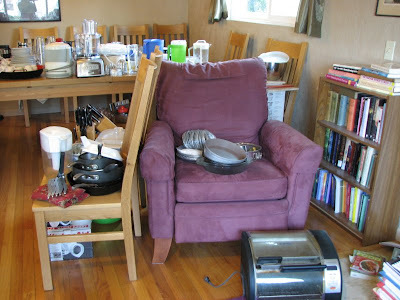 We don't have too much stuff that we don't use on a regular basis. 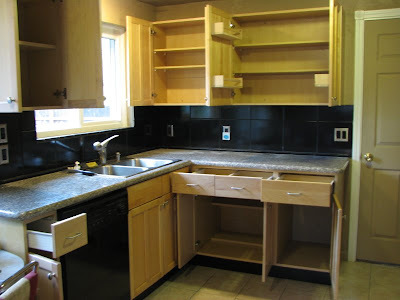 1) getting the knife blocks off the counter (in-drawer holders instead) - I hate cluttered counters! I'll post finished pictures as soon as Q hangs the pots. I wish I'd remembered to take "befores" but "afters" will still be pretty.